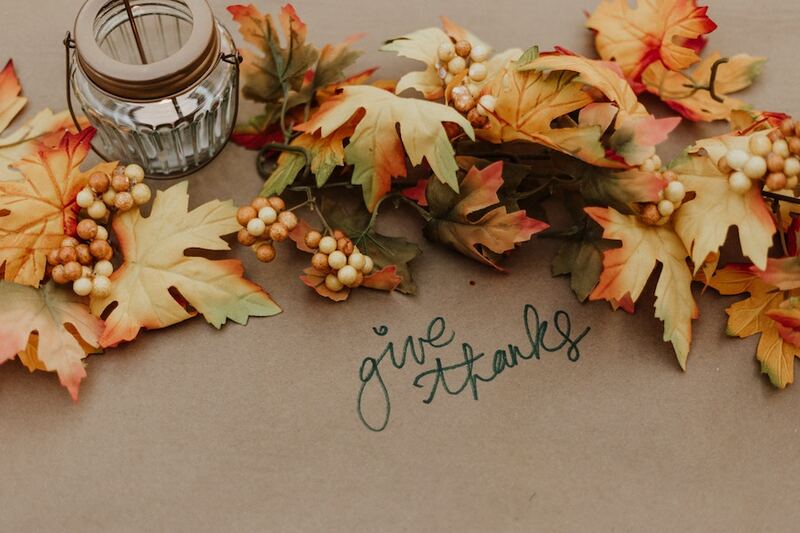 Thankfulness might seem like a waste of time but it’s not. Quite the opposite, actually. Thankfulness blesses us more than we can imagine. How do I know this, you ask. I know by experience. Also, the Bible tells us so. Thankfulness welcomes God into our life. And when that happens, everything changes. Because the power of God is more than we can imagine. And this is the power that is not forceful. Instead, when invited, it brings peace and joy. And endless possibilities in the Lord. Hallelujah. It happened that as he made his way toward Jerusalem, he crossed over the border between Samaria and Galilee. As he entered a village, ten men, all lepers, met him. They kept their distance but raised their voices, calling out, “Jesus, Master, have mercy on us!” Taking a good look at them, he said, “Go, show yourselves to the priests.” They went, and while still on their way, became clean. One of them, when he realized that he was healed, turned around and came back, shouting his gratitude, glorifying God. He kneeled at Jesus’ feet, so grateful. He couldn’t thank him enough—and he was a Samaritan. Jesus said, “Were not ten healed? Where are the nine? Can none be found to come back and give glory to God except this outsider?” Then he said to him, “Get up. On your way. Your faith has healed and saved you.” (Luke 17:11-19, MSG). Only one man out of ten came back to thank Jesus and only him was further blessed. On the top of being physically healed like the others, he also received wholeness and salvation. So ten was healed physically but only one was also healed spiritually for eternity. Thankfulness brings blessings: wholeness and salvation, peace and joy. And endless possibilities in the Lord. Hallelujah. How does this relate to you? In every way. God wants you to realize who is the giver of all the good gifts in your life. Jesus wants to see you coming back to thank him. When you do that you renew your commitment to God and grow even closer to Jesus. That’s grace in action, that brings wholeness. So do not take grace granted. Embrace it, give thanks, and live it out. Thankfulness brings blessings: wholeness and salvation, peace and joy, and endless possibilities in the Lord. Hallelujah. there’s more in you to discover. Forgive us for taking your amazing grace granted. We thank you for all your gifts and blessings. make us whole in you. Be praised forever and ever. Q4U: Do you know where your blessings come from? Or are you taking grace granted? Have you been made whole? Be blessed, my fellow pilgrim, as you give thanks and praise God for everything!